this watch was made before Cartier established Cartier Paris Collection Privée in 1998. 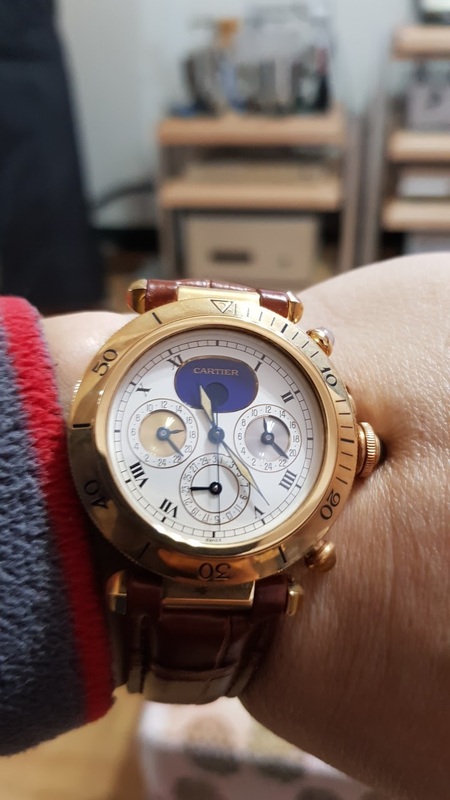 As far as I know that Cartier used a lot of GG movements before that time including Pasha perpetual calendar and minute repeater. I love Pasha’s and still failed to understand why they seized production. Lovely piece you have ! Gerald Genta is a great watchmaker. He also designed AP's Royal Oak in 1972.